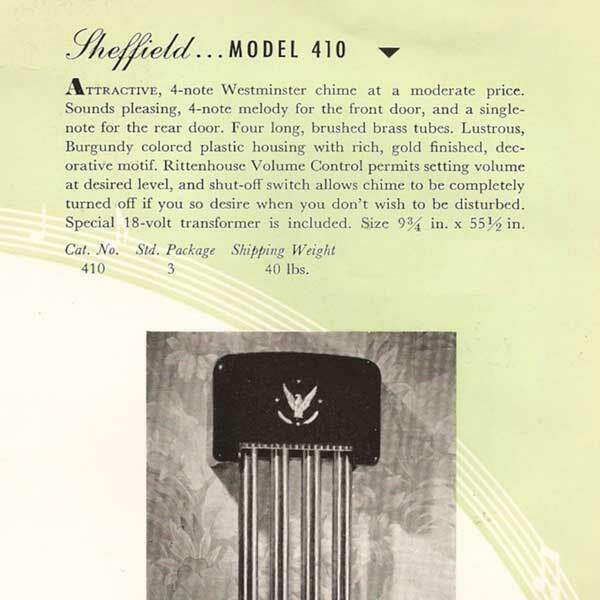 Rittenhouse’s entry level four-note Westminster doorbell chime in the mid 1950s was the Sheffield Model 410. 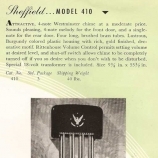 The Sheffield incorporated the Rittenhouse Rhythm Master. This timing mechanism was employed in order to keep to a competitive price point since other four and eight note chimes offered by Rittenhouse at the time were as much as 75% more expensive. The case was made of styrene plastic. Pioneer industrial designer Norman Bel Geddes designed the Sheffield Case for Rittenhouse in the mid 1940s. 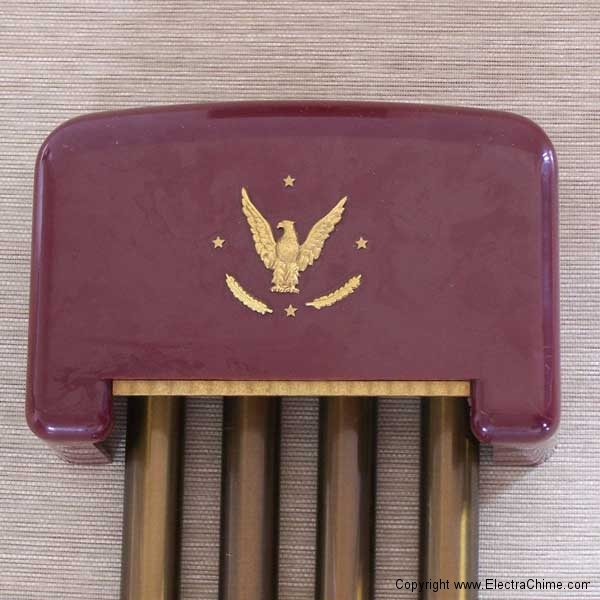 Attractive, 4-note Westminster chime at a moderate price. Sounds pleasing 4-note melody for the frotn door, and a single-note for the rear door. Four long, burshed brass tubes. Lustrous, Burgundy colored plastic housing with rich, gold finished, decorative motif. Rittnhouse Volume Control permits setting volume at desired level, and shut-off switch allows chime to be completely turned off if you so desire when you don’t want to be disturbed.